The Military Industrial Complex on trial. Experience the suspense and mystery of the latest in the best selling legal thriller series from the author critics hail as: "One of the strongest thriller writers on the scene." During his fourth tour in Iraq, Retired Captain Ryan Bennington, like many soldiers of his time, was fighting a faceless enemy. A split-second decision could mean the difference between killing an innocent civilian or losing an entire platoon to a suicide bomber. Ryan survives the war and comes home to conquer PTSD and chronic employment, only to be arrested for following the orders of his Commander. Lawyer Brent Marks takes on Ryan's defense in his court-martial trial, which will call upon the deepest, darkest secrets of the military industrial complex on trial. In their search for a scapegoat, have the powers-that-be gone too far this time? Around midnight an Iraqi woman approached the Command post. She was crying, reaching her hands up into the night air. Sergeant Thomas fired warning shots into the air, but the woman kept coming. Suddenly, she dropped to her knees. “RPG!” yelled a soldier on watch, as a rocket-propelled grenade came streaking toward them. The grenade hit one of the Humvees, the explosion lifting it off its bed and throwing it on its side like it was a kid’s toy. The soldiers hit the pavement. “Move out! Now!” Ryan yelled to Sergeant Thomas, who signaled the drivers of the convoy. The trucks roared to cover of the Command post building under heavy small arms fire, shooting their 50-caliber machine guns toward the line of hostile fire as an RPG exploded the last retreating Humvee, throwing the gunner clear of the truck. Two men ran, under heavy fire and cover of their own to the aid of the Humvee driver and gunner and dragged both of them back. They driver was dead. The gunner was missing an arm and had a huge hole torn in his torso. Another RPG missed the convoy and hit right in front of the Command post, scattering hot metal, dirt and concrete. Ryan felt an intense pain in his leg. He coughed and choked on the dust. Machine gunfire pelted the ground all around them as they ran for cover in the abandoned building. Crouching behind his Command post, Ryan scanned the area with his night vision goggles and saw dozens of men advancing on the building, firing on them. “Enemy advancing at 500 meters. Dozens of ‘em! Frontal area fire! Get some flares out there! Light it up!” Ryan shouted. His right leg felt like it was burning. He tore at his pants, and saw a glowing chunk of shrapnel sticking out of his calf. “I’m okay, I’m okay! Find those hostiles and put them down, now!” They could see muzzle fire from what seemed like dozens of guns shooting at them in the dark. Ryan tried to pull the shrapnel out, but when he touched it, it singed his fingers like a red hot poker. He withdrew his knife, clenched his teeth and quickly dug it out. Within seconds, the street was illuminated with light from the flares. With the area lit, Ryan counted about 20 enemy soldiers advancing on them from the cover of surrounding buildings. PFC Robinson and Specialist Rand lobbed grenades into the advancing crowd and took out several of them. Ryan’s men shot and downed six of them as the rest scattered for cover. PFC Roger Hammond, 22, from Little Rock, Arkansas, popped up to get a clear shot at the enemy, was hit in the head and went down. The medic crouched over Hammond, who had blood coming out of his mouth. He put pressure on Hammond’s shoulder, which was spurting a red fountain. The enemy continued to fire as they launched more flares and fired on every advancing target. “Yes, sir!” Sergeant Thomas took off. The men fired their M-16s for cover. As they did, PFC Michaels (the Jester) was shot in the neck and went down. A medic crawled over to Michaels as the hail of fire continued on both sides. Sergeant Thomas returned and crouched next to Ryan. “Marksmen are in place, sir.” As he spoke, two of the riflemen picked off two snipers from the tops of two surrounding buildings, who crumpled as they were hit. Specialist Steve “The Snake” Roberts, who was called that because he was so skinny, hugged the ground like a snake, crawled to cover, dragging his machine gun behind him, and put it in position as Specialist Tulane White set up his. They commenced firing hundreds of rounds in the direction of fire. Another RPG exploded about 10 yards short of them. Snake doubled over his machine gun. Ryan started to run after him, but Sergeant Thomas stopped him. “I’ll go, sir. 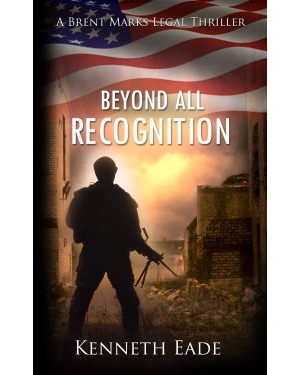 Without you, we all go down.” Under cover fire, Thomas ran out to Snake with another soldier, who manned the machine gun and began shooting as Thomas dragged the wounded Snake back to safety. As the medic hunched over Snake, Thomas came back to Ryan. Sergeant Thomas shook his head. They were still receiving small arms fire when the recon patrols returned to report the enemy had been defeated and the survivors were in the process of retreat. Ryan figured that snipers were responsible for the sporadic enemy fire. By the time Bravo Company had arrived to take the wounded, the battle was over. Ryan ran over to the medic who was treating Snake. “That was the first time we were faced with a civilian decoy to draw us into a dangerous situation. It happened a lot in my other deployments, especially as the insurgency got worse.